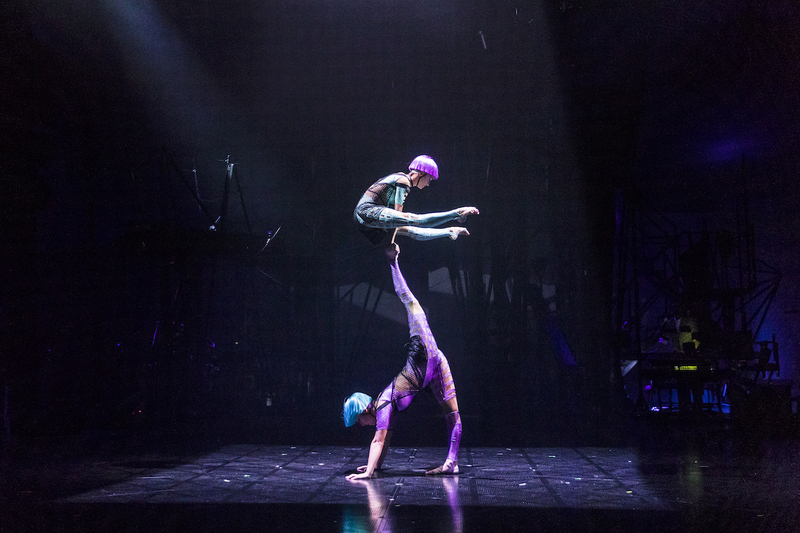 Mother Of The Nation Festival in association with Alchemy Project, are proud to present Cirque Du Soleil Bazzar under the iconic Big Top in Abu Dhabi for the very first time in its Middle Eastern debut. 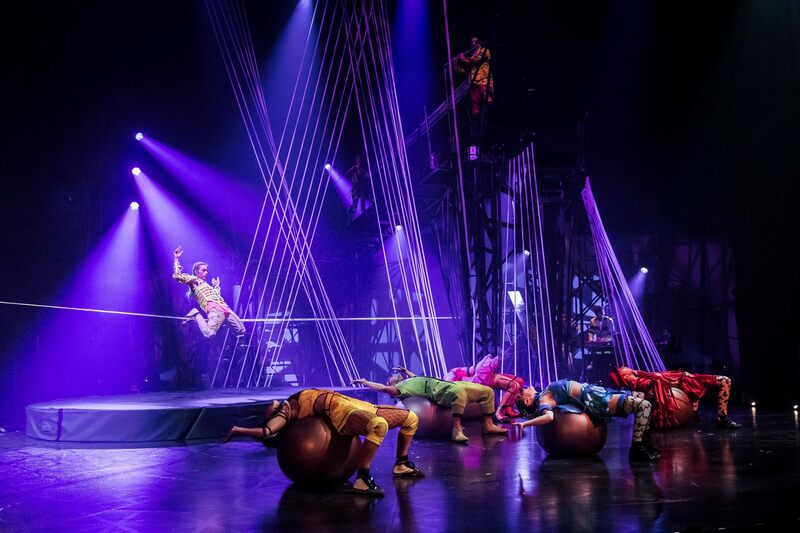 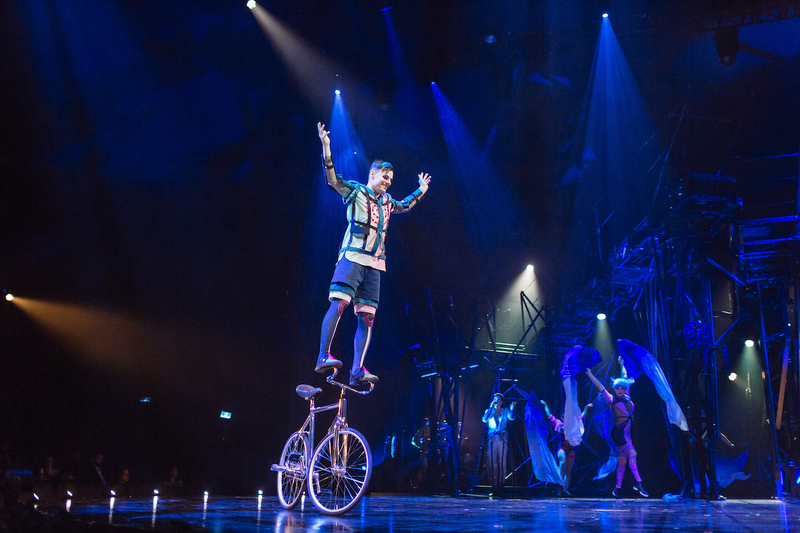 A breath-taking, colourful homage to Cirque du Soleil legacy, BAZZAR premiered on 6 March 2019 and will perform for a limited engagement at Yas Island. 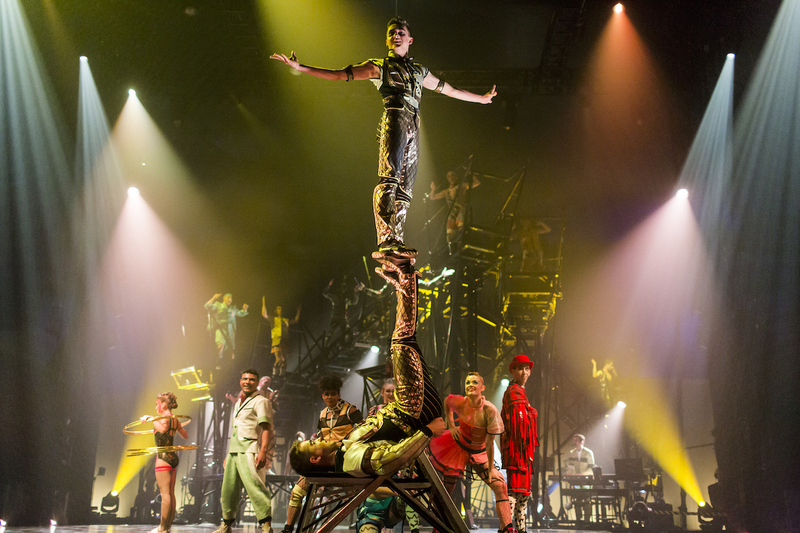 “We are tremendously proud to bring BAZZAR, the latest Cirque du Soleil production, to Abu Dhabi audiences. 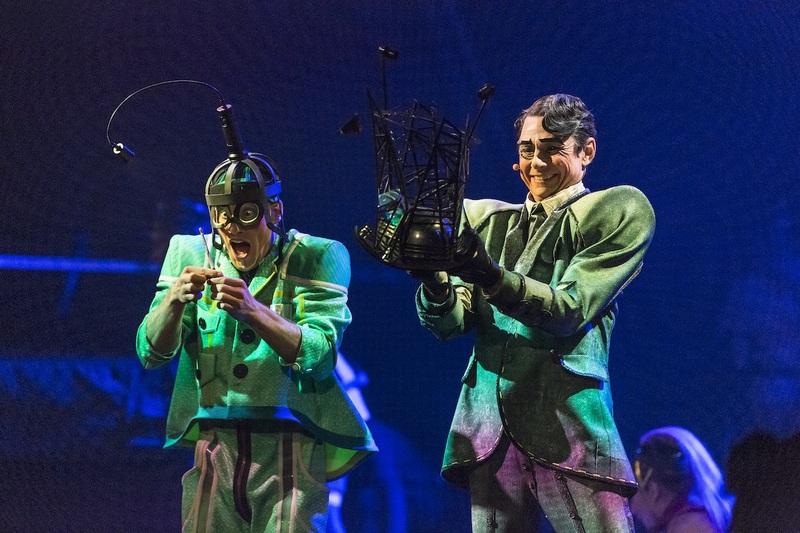 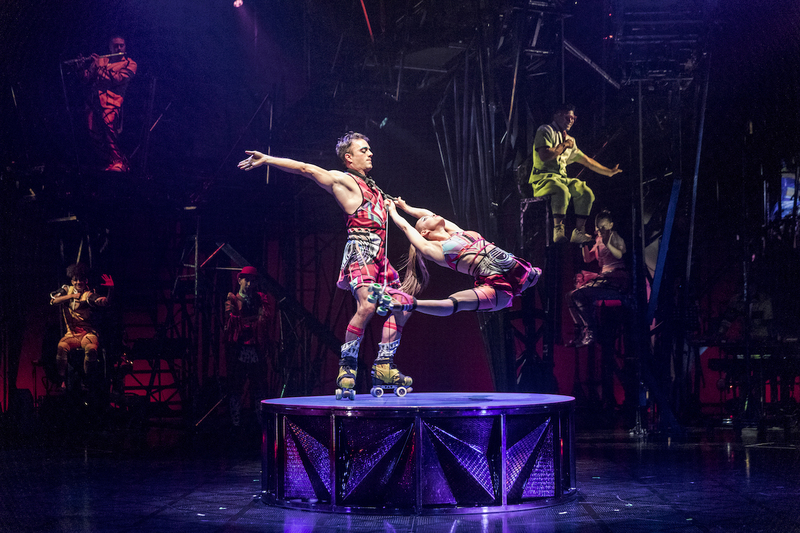 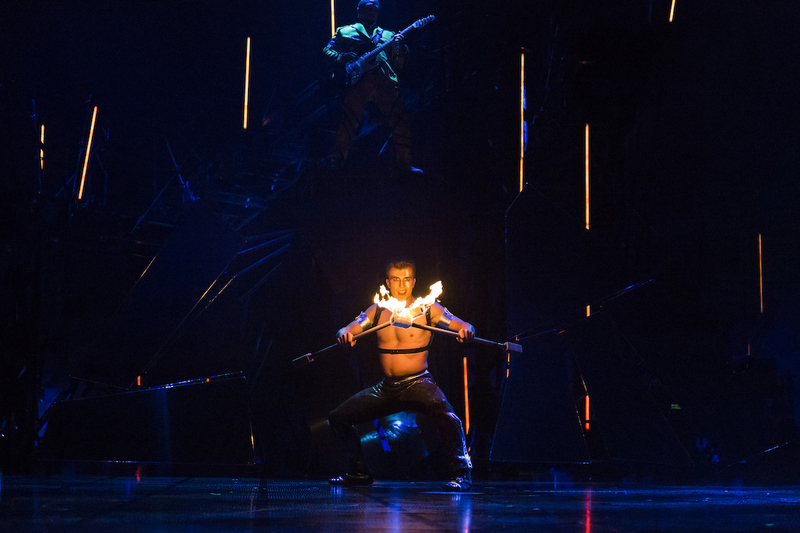 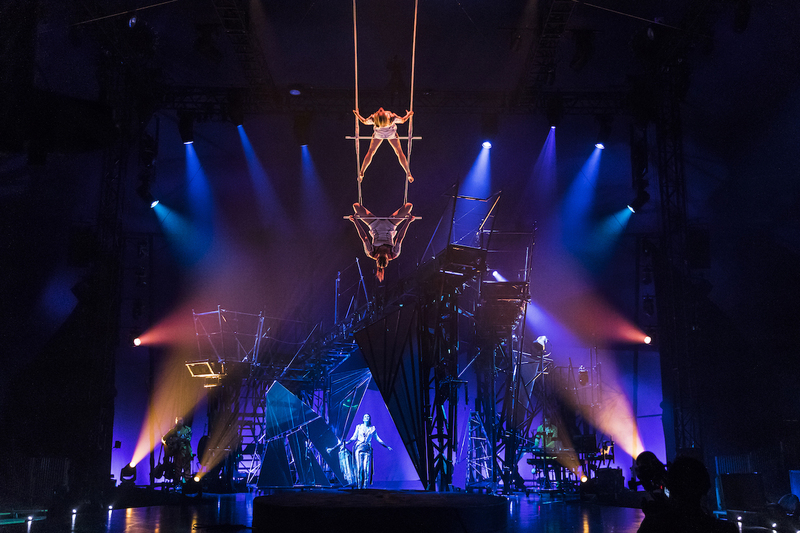 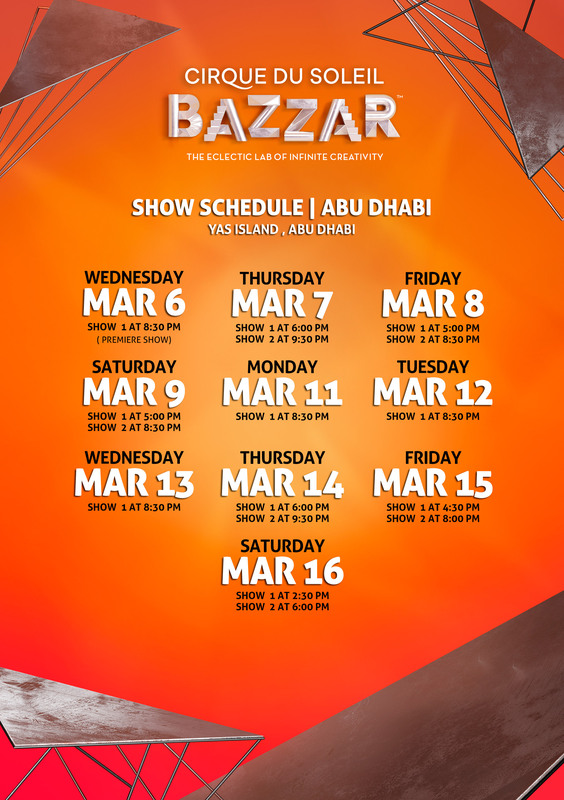 BAZZAR is the biggest touring show in Alchemy Project’s history through 6 countries, 3 continents, over 210 touring days with the biggest and most reputable entertainment company in the world , Cirque Du Soleil. 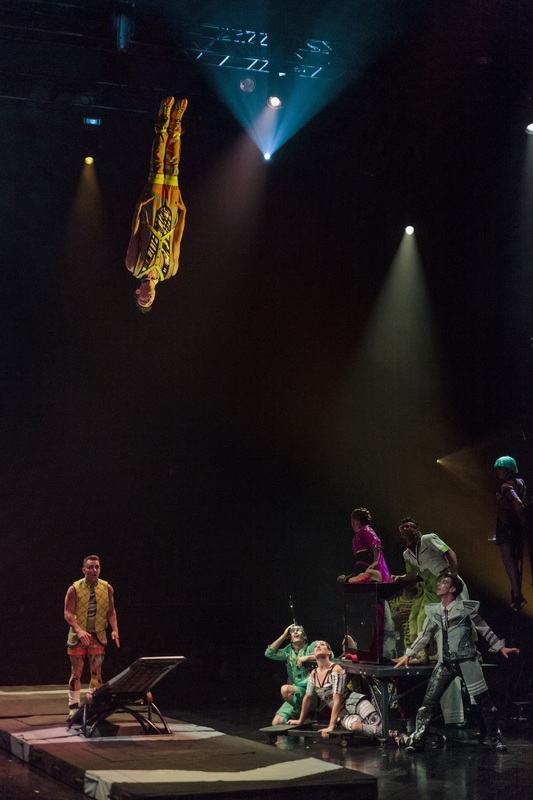 “ Said Sia.S.Far Managing Director of Alchemy Project. 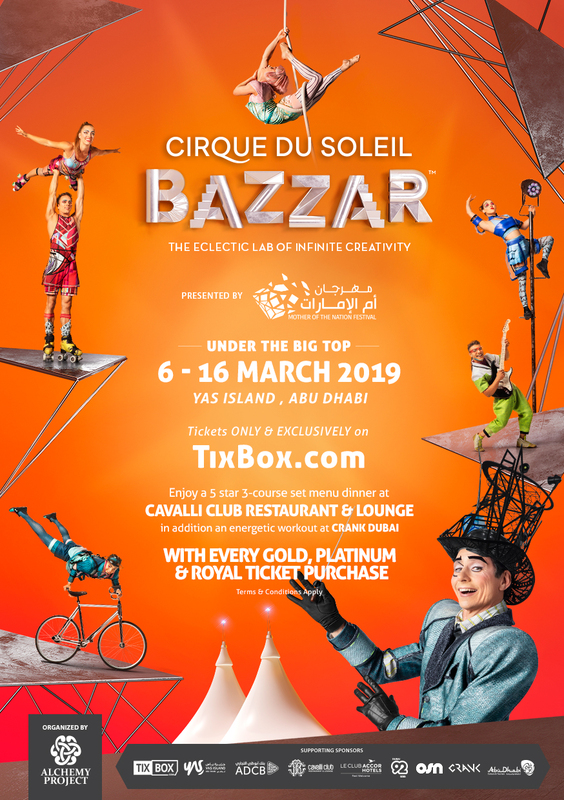 Cirque Du Soleil BAZZAR will be presented at Yas Island , Abu Dhabi under big top from 6-16 March 2019. 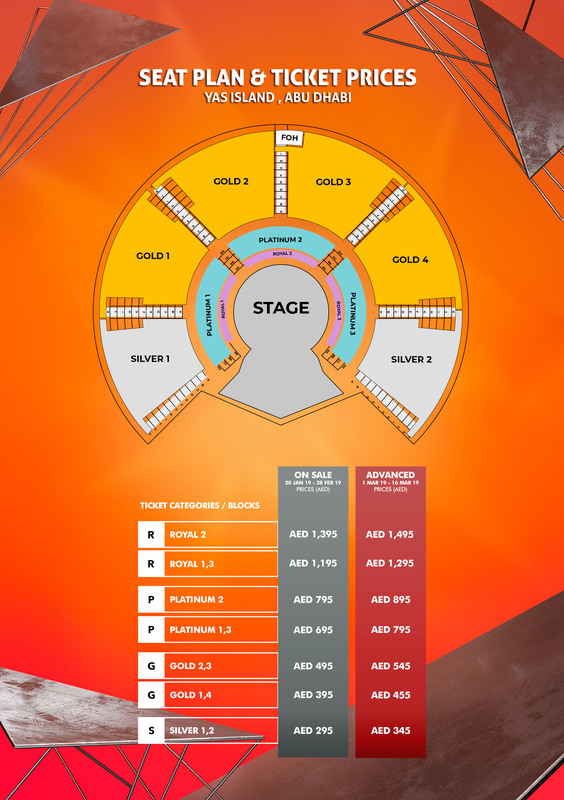 Tickets will be on sale from Thursday, 20 December 2018, at 11:00AM ONLY & EXCLUSIVELY from www.TixBox.com Ticket prices start from AED 195 up to AED 1,495 with up to 40% discount on tickets during early bird sales period for 30 days from 20.Dec.2018 to 19.Jan.2019 . 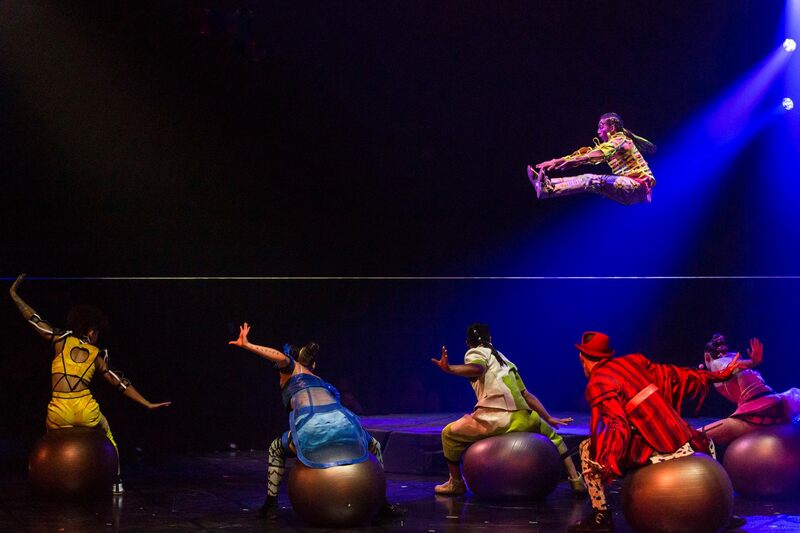 Cirque du Soleil gratefully acknowledges Abu Dhabi Tourism & Culture Authority & Yas Island as associating and destination partners of BAZZAR in Yas Island, Abu Dhabi.